The American Automobile Association is a pretty savvy consumer group, consequently when they identify the best vehicles for commuters it’s probably worth a look, but this list includes a couple of unexpected surprises. According to AAA, 86 percent of Americans drive to and from work every day – an average commute of 25 minutes each way. With gas prices currently hovering about $3.50 per gallon, the right vehicle can make that hour much more enjoyable, not to mention easier on a pocketbook. "Many Americans are spending several hours every week in their vehicle to get to and from work," says John Nielsen, director, AAA Automotive Engineering & Repair. "Having a vehicle that is reliable, fuel-efficient and comfortable can really make a difference in your everyday routine." So if you’re considering a new car, AAA’s Auto Buying pundits have selected a few vehicles that mix economy with comfort and performance. 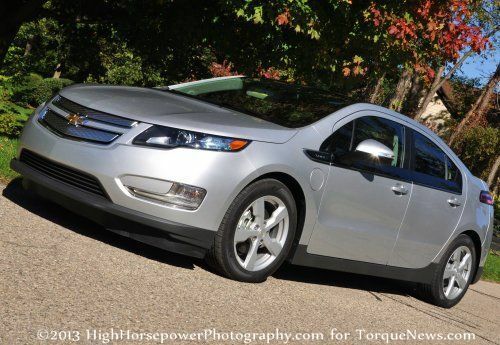 Though the Chevrolet Volt is no surprise, it was not expected as a top choice from AAA with its average end price of $38,871, just slightly under MSRP. However, there’s still the Federal tax break and the Volt will get most people through that 50-mile commute on electric power alone. Other than a purely electric vehicle, the Chevy Volt has the potential to lower a commuters transportations costs by up to 80 percent, in terms of fueling costs, at least when mostly electric power is used. The four-seat, plug-in electric now allows a driver to instigate operation of the gasoline generator, making it ideal for commutes starting on a highway and ending in a city, where battery power is most effective. The Volt, though thoroughly electrified, is a Chevrolet through and through – a quiet, comfortable ride with great acceleration, though the rear seat might be tight for taller carpoolers. The Toyota Prius and Prius V are the tried and true choice for veteran commuters, setting the standard for fuel efficiency in a green gasoline vehicle. Seating five in relative comfort, the Prius is a highly efficient choice for urban commutes where recurring gridlock makes gasoline engine turning off when idling a true boost to fuel efficiency. According to TrueCar, the average price paid for the 2013 Toyota Prius hatchback is $24,066, 3.7 percent under manufacturer recommendation, while the Prius V five-door wagon is $26,350, four percent under brand specs. It is absolutely no surprise that the Volkswagen Jetta SportWagen TDI is found on AAA’s list, as it combines the high mileage and low-end torque of diesel power in a tight handling vehicle that’s a gas to drive. Both manual and automatic transmissions are available, in a car that makes commuting a sheer joy. Most people take home one of these vibrant VW’s (4-speed manual) for $23,894, 9.2 percent less than the brand’s standard list price. Another wise choice is the Audi A4, a car you may like driving so much you’ll look for work farther from home! Beautifully appointed with imminently comfortable front seats, the front-wheel drive A4 is standard, but the optional Quattro all-wheel drive is available with a firm, compliant ride and delightful handling. Stability and tracking are superb, though the rear seat is not good for adults or even large teenagers. You can like get an Audi A4 four-door Sedan CVT FrontTrak 2.0T for $31,697, 5.1 percent under list. The remarkable Buick LaCrosse is starting to make US inroads after years of rising popularity in Asia, and the three-shield logo is becoming more noticeable throughout the US. With a steady ride, posh comfort and responsive handling for which the marquee has long been known, plus a new and efficient V-6 drivetrain, make this the perfect carpool commuter. If greater efficiency is needed, a four-cylinder eAssist drivetrain is offered, a mild hybrid. A 2013 Buick LaCrosse four-door sedan can be $30,727, 5.6 percent under MSRP. The Ford Fusion family sedan arena has been completely redesigned for 2013 and gets high marks for the effort. With a sleek exterior, upgraded interior and three new engines, the Fusion is an excellent commuter choice. Pick from a base 2.5-liter four-cylinder engine or two optional turbocharged four cylinder engines, either 1.6- or 2.0-liters. The 2.0-liter four produces 240 horsepower, matching the output of many V6 engines. Just a few years ago, the new Fusion would have been considered a luxury car.. Front-wheel drive is standard with an all-wheel drive option. With a price of $20,038, for the 2013 Ford Fusion four door S, this vehicle presents an excellent value for the money. Would you believe the Hyundai Genesis is the most expensive of the sedans AAA selected for this list? Surprising but they have come a long way in terms of technology. Powered by V-6 engine, the refined Korean sedan is powerful and spacious. A new 8-speed automatic transmission boosts performance levels to a point making the optional V-8 pointless. Nevertheless, the 2013 Hyundai Genesis four door sedan V6 3.8 liter is $33,358, 4.9 percent under list. Another excellent choice at an attractive price point is the all-new Nissan Altima. The revolutionary Zero Gravity seats, design with knowledge gained by NASA, will make the whole carpool wish they commute was just a little bit longer. That’s because the rear seats are just as comfortable as the front ones. The 2013 Nissan Altima features several unique safety features, including lane departure and blind spot warnings in some models. At just $21,706, the 2013 Nissan Altima four door 2.5 liter is another excellent value especially for multi-passenger commutes. It surprised us to find the big-box Ford Flex on the AAA list, though it’s hard to find more passenger or cargo space in a relatively economical package. With a quite, staid ride, the Flex comes with a V6 engine standard, but also offers the EcoBoost with its remarkable performance. Though there’s some added cost, the EcoBoost outperforms the V6, and in AAA’s tests delivered slightly better fuel economy. The 2013 Ford Flex SE is $26,803 and that’s 15.7 percent under list. When we found the Ford Flex included, we couldn’t help but wonder what knocked the 2013 Ford C-Max and Escape off the list – also excellent choices when added cargo and passenger space are needed. No surprise to see the Toyota Highlander, though as this roomy workhorse is also available in a hybrid version for the carpooler looking for maximum economy. With its comfortable ride and roomy interior, it has great manners for highway cruising and is easy to maneuver in traffic despite its considerable size. While not at its best in handling sharp bends, the reputation for dependability and long lifespan combines into a top choice for commuters needing size and room for multiple passengers. The 2013 Toyota Highlander front-wheel-drive 4-cylinder usually goes for $27,978, 6.3 percent under MSRP. When it comes to minivans there is one that stands out in our mind, but the Honda Odyssey does come in a close second. Is it silly to point out a minivan is roomy? Perhaps so, but this comes in a wide range of models, though all are well equipped and comfortable. Despite its size the Odyssey is easy to drive even in an urban setting. (Newsflash: NBC National News just announced the Odyssey will be able to vacuum all those cereal bits and candy wrappers from under the seats all by itself while driving. The newsbyte didn’t say where this rubbish would be deposited) Front and second row seats are comfy and the third row folds to form a flat, roomy cargo area. The 2013 Honda Odyssey LX usually sells for $27,801, 5.8 percent below list. "When it comes to minivans there is one that stands out in our mind, but the Honda Odyssey does come in a close second." The article says the Honda Odyssey comes in a close second but never mentions what comes in first.